With 'Breakfast in My Neighborhood' News10 viewers get a chance to decide where News10 Mornings Anchor Keba Arnold will be broadcasting live from 5-7 a.m. this Friday, February 20. Voting began on-air Friday morning February 13 and ended Tuesday, February 17, at 6 p.m. 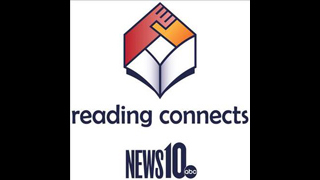 The winner was announced Wednesday, February 18, on News10 Mornings. Viewers chimed in and OVER 4600 votes were cast. We want to thank the viewers, Kim's Country Kitchen and Waffle Farm for participating in our poll. And the winner is Waffle Farm! With 'Breakfast in My Neighborhood' News10 viewers get a chance to decide where News10 Mornings Anchor Keba Arnold will be broadcasting live from 5-7 a.m. on Friday, February 6. The voting starts Friday, January 30, and ends Tuesday, February 3, at 6 p.m. The winner will be announced Wednesday, February 4, on News10 Mornings. Free The Children, an international charity and education partner, is proud to introduce the We Act program to local schools in the Greater-Sacramento region. On Wednesday, January 21 at 7 p.m., Craig Kielburger, co-founder of Free The Children, will speak in Granite Bay at an event hosted by ImpactAVillage about We Act, an educational program that empowers young people to become active local, national and global citizens.